Uh, how do I actually join? There's no link. sign up everyone, we need more than 3 people! 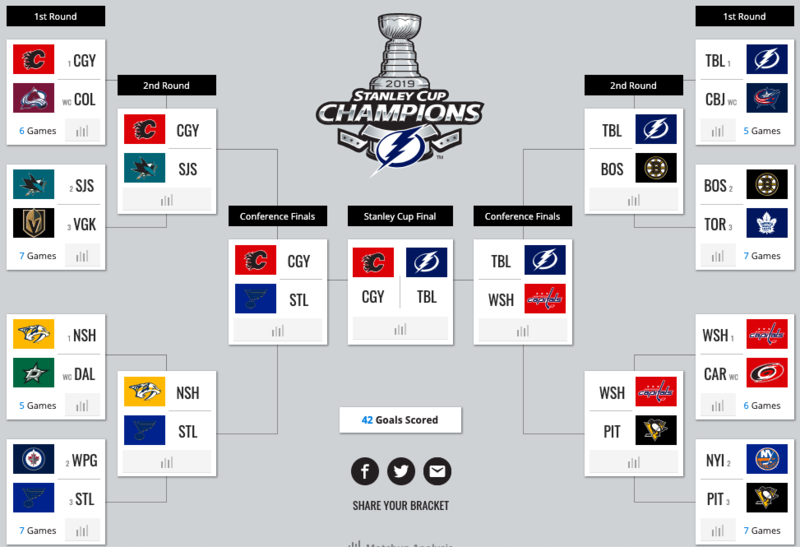 I'm going for the "lets do it for the Blueshirts" Bracket. Ahhh yes, the one time I need to use my login info on NHL's site. Hmmmmm, feel more confident about this one than previous years. Still don't think it'll be anywhere near this. But gimme #31 instead of ~60. My predictions are super similar. Last edited by rmc51; 04-08-2019 at 11:40 AM. I'm in. I hope I'm wrong though on my cup winner. Want to see the West win this year. East is exactly the same, hahaha. 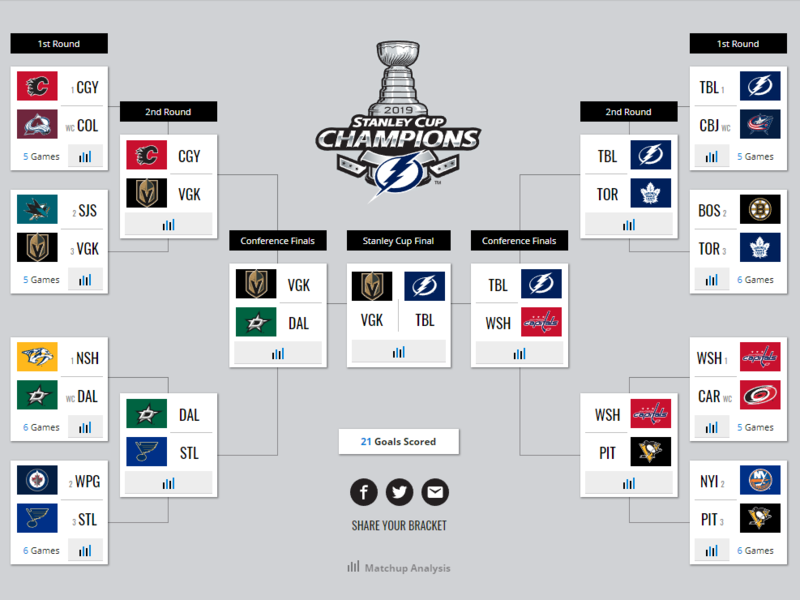 The STL/WPG series was the hardest for me to pick. I went with STL cause they're hot and have turned it around so much after their bad start. The thought that WPG goes to WCF to a first round exit in the following year though...gives me pause. I also just haven't been paying attention to NHL and the west, for that matter, as much this season as I have previously, so I'm def more out of touch and went based on stats. I figured most brackets would look the same, so I did some random wins.